I remember my first Super Bowl brief. It was exciting and terrifying. In an industry where we are continually judged by focus groups, peers, clients, parents, siblings and friends, in America, the Super Bowl is the judgment day for advertising. A decade ago, when work debuted on the Super Bowl, you waited for that fateful Monday when USA Today would tell you where you finished in the lineup. Today, with all the pre-media hype, you have a good sense of what will be well received (or at least talked about) and what will be forgotten. Forgotten — perhaps the worst thing that could be said about any creative work. Today, our industry is increasingly wedged into conversations about metrics. About CPM and ROI. With the price of a 30-second Super Bowl ad reaching $5 million this year, it’s easy to feel that pressure even more intensely and play it safe, which only increases the chances the work will be forgotten. That's why I’m drawn to work that is brave. 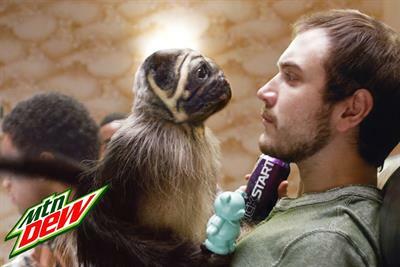 If you wrote, sold or bought "PuppyMonkeyBaby" for Kickstart Mountain Dew — that was brave. While we do see babies, monkeys and puppies often in this venue, no one has put them all together to talk about caffeine, juice and Dew. Weird. As. Hell. To those who had to do the next Super Bowl spot for Snickers — that was brave. How do you top Steve Buscemi’s "Marcia, Marcia, Marcia" moment last year? I guess the same way you stepped up to the challenge after Betty White’s brilliant Snickers performance in Super Bowl 2012. William Dafoe as Marilyn Monroe is another unforgettable chapter in Snickers' Super Bowl story. Good luck next year. To Michelob Ultra, who decided to enter the game for the first time, you launched a brand platform with restraint. Where was the joke, the celebrity, the big music buy? It appears you didn’t play by the Super Bowl rules, you played by your own — that was brave. To Honda Ridgeline’s sheep-singing homage to the Gary Larson’s Far Side Cow’s Standing joke and Heinz’s weiner dog romp — that was brave. As an industry, we can be critical when it comes to animals doing absurd things, but it wouldn’t be the super bowl without a few. To Avocados from Mexico, if I have to watch ads over and over and over before the Super Bowl, thank you for packing it full of crazy creatures and inventive dialogue. To Wix, who created a website that covered the Super Bowl pre-game hype and made sure its Kung Fu Panda ad was always highlighted, "brave" may not be the right word. But that was pretty smart. To Shock Top, who conversed with TJ, the comedian whose last name is Miller, as in that other beer — brave. To Jeep, who decided to hold back and premier "Portraits" on the game itself — kudos for being brave. I imagine it is hard to watch all that pre-game coverage and not be calculating how many earned media dollars you might have given up to surprise and delight audiences on Sunday. To Doritos, who over 10 years turned a crowdsourcing idea for creative into a platform for aspiring filmmakers to win the creative lottery, good on you for sticking with an idea year after year. When we build on a theme, what we do becomes more important. I’ll miss seeing what this program might have become years from now. To Colgate, for being brave enough to spend valuable seconds living into that higher brand purpose we hear the business talk about so often. As I write this article today, I realize I have left off several of the ads that made the top 10 in various polls, proof that sometimes what we admire inside the business isn’t necessarily what will be applauded by the public. But I do wonder a year from now if most of those ads people voted for yesterday will be forgotten. Which brings me to my final point. We seem to have done a great job of garnering lots of attention before the game. Next year, we might want to think about how much attention a piece of communication will receive after the game. Say like "1984," one of the bravest ads to run on any Super Bowl, ever. Susan Credle is FCB's global chief creative officer .